In 1993 I discovered margaritas. One week later my boyfriend, my gay travel-mate and I were spilling a pitcher of margaritas on a pool table in a crappy bar in the middle of a Colorado Winter. A few hours later I found out that my boyfriend was curious about kissing my gay friend and were I not retching I might have cared. That was the one and only week of the margaritas. One tequila, two tequila, three tequila floor…. as the saying goes. Almost twenty years later I was able to enjoy a margarita again. During my trip to Gran Velas Riviera Nayarit we sampled dozens of margaritas (sampled folks… it was like one sip of each) and learned to make a few dishes. Chef Claudio Hotter is the executive Chef at Grand Velas Riviera Nayarit, he spent a day cooking with all of us and shared these recipes. Sautee the shallot and smoked bacon then add the red wine vinegar and the butter. Fine chopped parley in our sauce. Grill the scallops on both sides and season with salt and pepper. 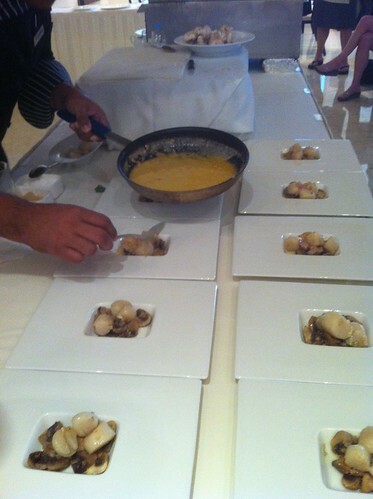 Heat up the champignon and serve it with scallops over it and lastly add the buerre blanc over the grilled scallops. 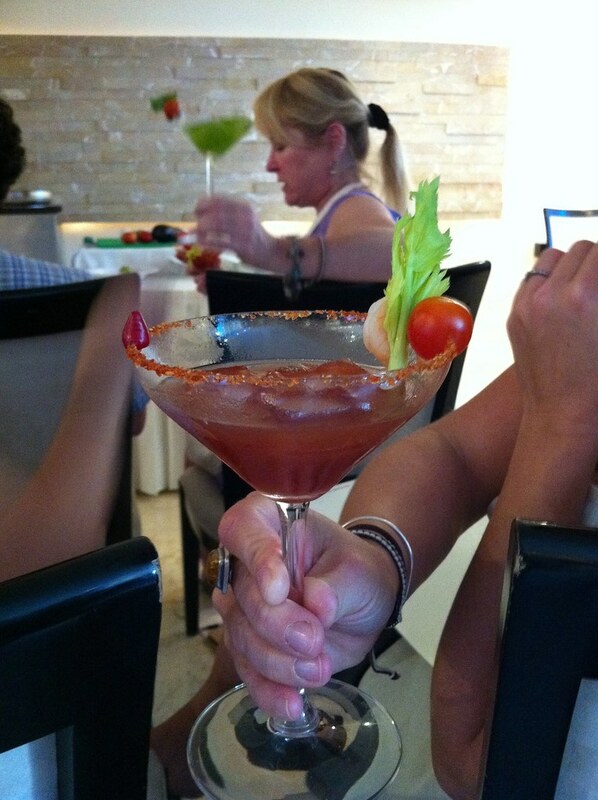 And to accompany it try this amazing margarita. I did notice that all the fine dining restaurants in Riviera Nayarit the salts were complex and the margaritas were served in martini glasses. Some of the salts were sweet, others were tart (I loved those) and still others were spicy. I’m not sure where to get all those fabulous salts here in the US, but I’m going to figure it out. http://www.atthemeadow.com/shop/ for salts. I used to get salts from them from their store when I lived in Portland. They have a big selection, including some sets if you want to try a range of salts (in cute little jars). don’t be nervous, just buy fresh fish and you’ll be fine.